Lillian Mae Reeves of Pilot Mountain married Thurman Finch Horner of Oxford at the First Baptist Church of Boone on April 15, 1949. At the time of the wedding, Ms. Reeves was a chemistry professor at Appalachian State University. Mr. Horner had served during World War II in the United States Marine Corps and was attending Appalachian State University on the GI Bill. 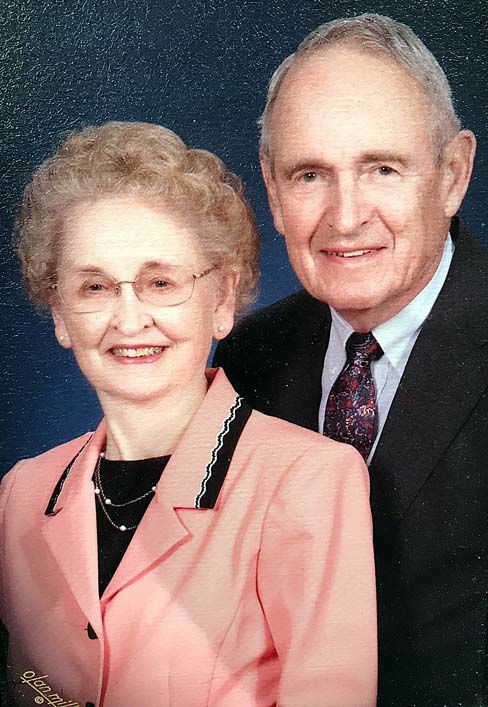 For some years following their marriage, Mrs. Horner continued as a professor of chemistry at Appalachian State University and later at East Carolina University. Ultimately, after having children, she dedicated herself to being a stay at home mom and housewife. After graduation, Mr. Horner started a career as an engineer for I.E. DuPont and ultimately retired from that corporation as a textile fibers engineer. The Horners reside in North Wilkesboro and are a active at North Wilkesboro Baptist Church and the local chapter of the Marine Corps League.